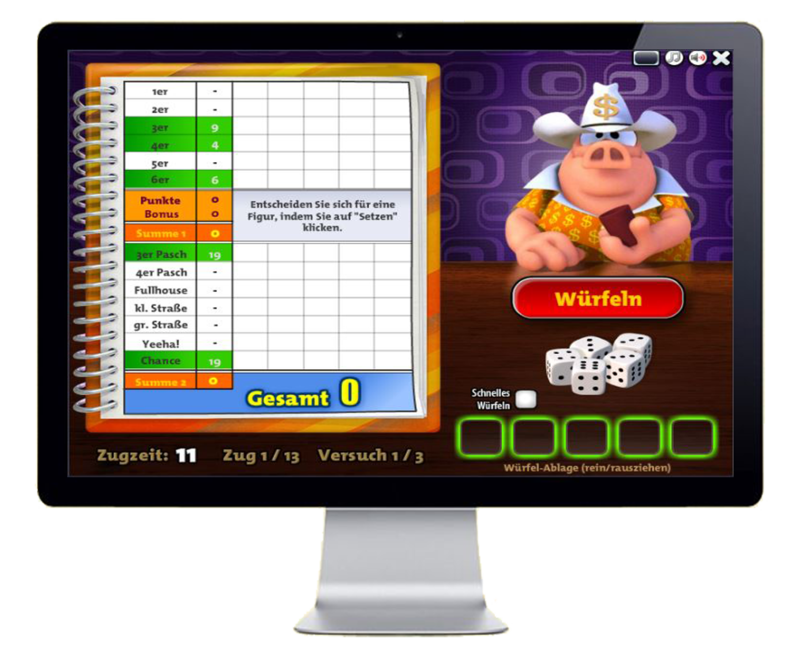 Jack Pot, our famous pig from Texas, wants to see you having fun while improving your analytical skills in this dice game! Just roll the dice and choose between the possible combinations in order to achieve the highest score. If luck is on your side, you could have a 3 or 4 of a kind or even a small or a large straight combination! If you have the best tactics, you can win big in this popular game! You have 3 chances to roll the dice and choose the ones you would like to keep in order to have the highest score. The possible combinations to score will be highlighted on the pad. The game only ends when all the combinations are crossed off in the score chart.